TAKE A PEEK. 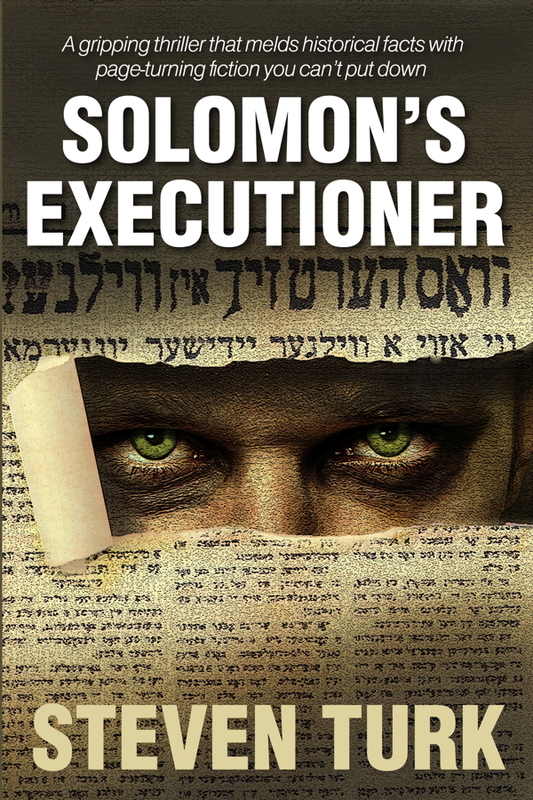 Eau Claire native Steven Turk’s first published novel, Solomon’s Executioner, is a thriller about a serial killer hunting Nazi war criminals. So far, the reviews for Eau Claire native Steven Turk’s new mystery crime novel, Solomon’s Executioner, have included phrases like “first rate thriller” and “a damn good read.” Turk grew up in the “Bloody” Ninth Ward on Bellinger Street on the west side. He recalls it as “wonderful,” reminiscing about the part of town that once hosted neon-signed taverns that made it not uncommon to see “a bar fight tumbling onto the street or a drunk being hauled away in a paddy wagon.” While he has since moved out of state (Florida is home now), Turk still thinks fondly of his hometown speaking dotingly of snowmobiles, lutefisk, the Packers, numerous taverns, and the friendly, genuine people of Wisconsin. Turk began writing while stations with the U.S. Air Force in the Mojave Desert during the Vietnam War. With not much else to keep him busy during his down time, he immersed himself in literature and read voraciously while learning to appreciate good writing. After completing his service, he briefly returned to Eau Claire before he began an extremely successful 40-year career in advertising writing and design, with his client list featuring big names such as The Wall Street Journal, 3M, and American Express. “I have always been fascinated with the hate and collective insanity that seemed to be at the heart of the Nazi movement,” Turk says. “So, I became enthralled when I read an article several years ago about a Polish Jew and Auschwitz survivor living in New York. He devoted his life to identifying and tracking down Nazi war criminals living in the United States who came here under (President) Truman’s 1948 Displaced Persons Act.” The true standout aspect of this novel is its ability to blend historical characters and facts into the story of a fictional protagonist. Turk said that the research he did for Solomon’s Executioner was fascinating and surprising, especially when viewing the personal accounts of death camp survivors recorded by Steven Spielberg’s Holocaust Project. He called it an eye-opening experience. Although the novel takes on an understandably dark tone, Turk stresses that he strived to create positive elements as well and added a thought-provoking component that leaves readers questioning their own moral compasses. Solomon’s Executioner is available at The Local Store, 205 N. Dewey St., and online at volumeone.org/store or Amazon.com.